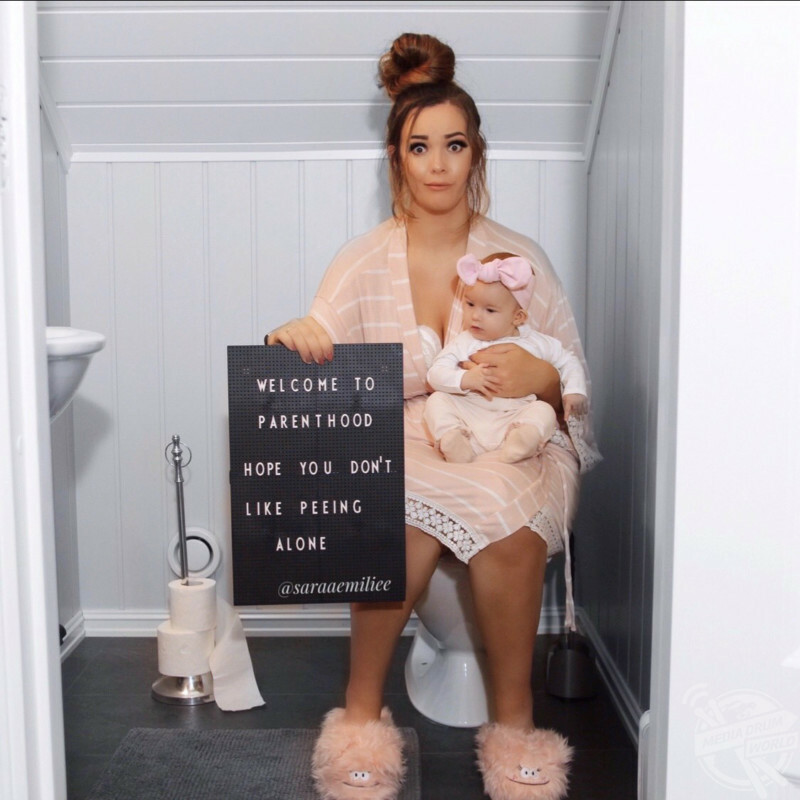 MEET THE mum who decided to post hilarious pictures of the struggles of motherhood to show that it’s OK to not be perfect all the time. 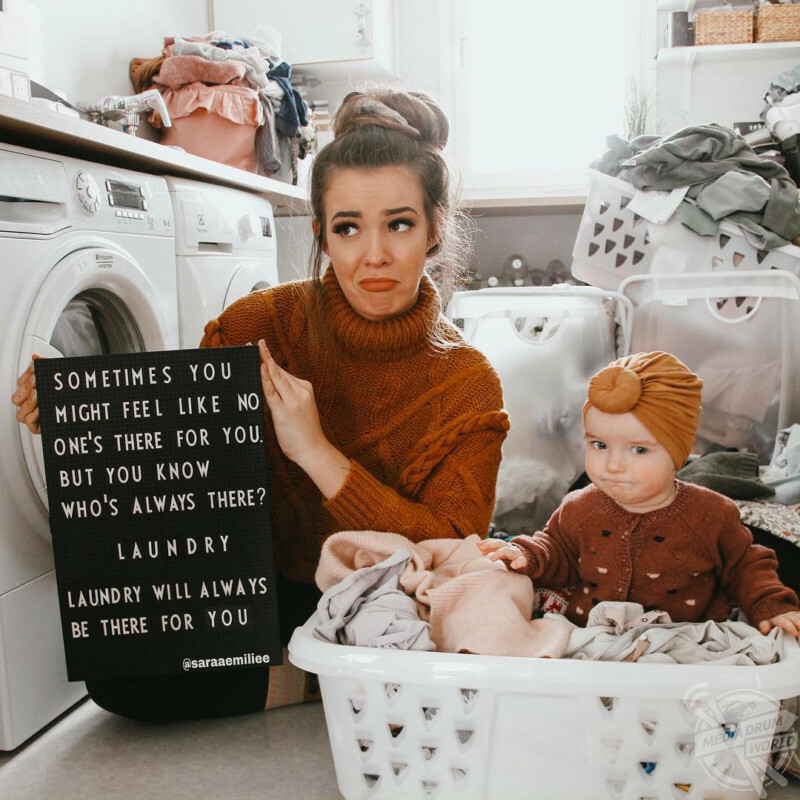 Comical photographs show social media influencer, Sara Emilie Tandberg (26), from Nittedal, Norway, holding up a series of boards with lettering describing the ‘behind-the-scenes’ moments of motherhood. One board asks her to ‘cover yourself while breastfeeding’ and Sara has covered her head with a white cloth. 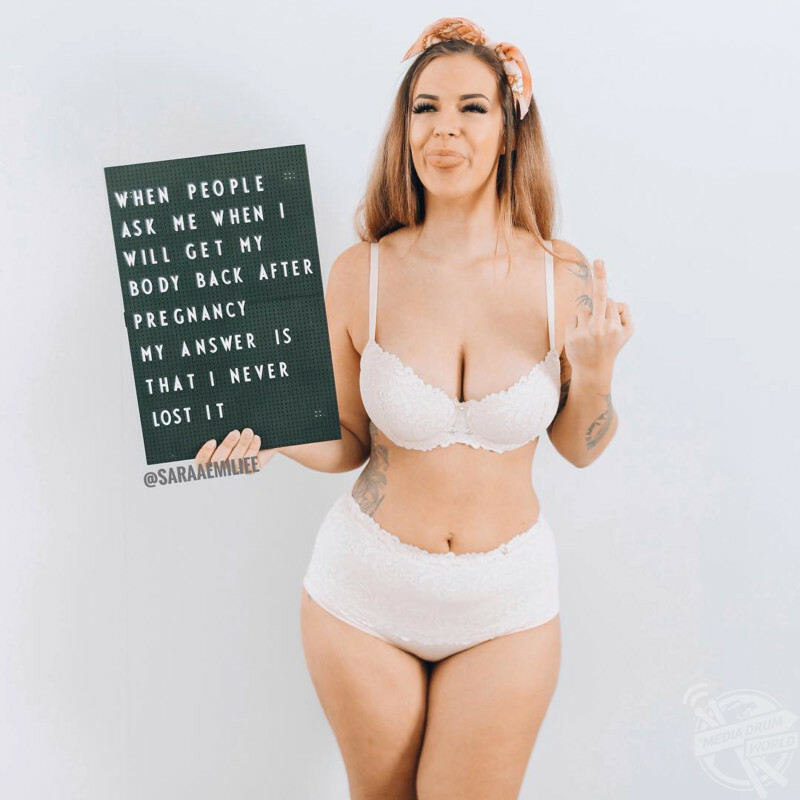 Sara’s pictures aim to empower women to become comfortable in their own skin and she even pokes fun at her postpartum body and how her weight has changed throughout her pregnancy. 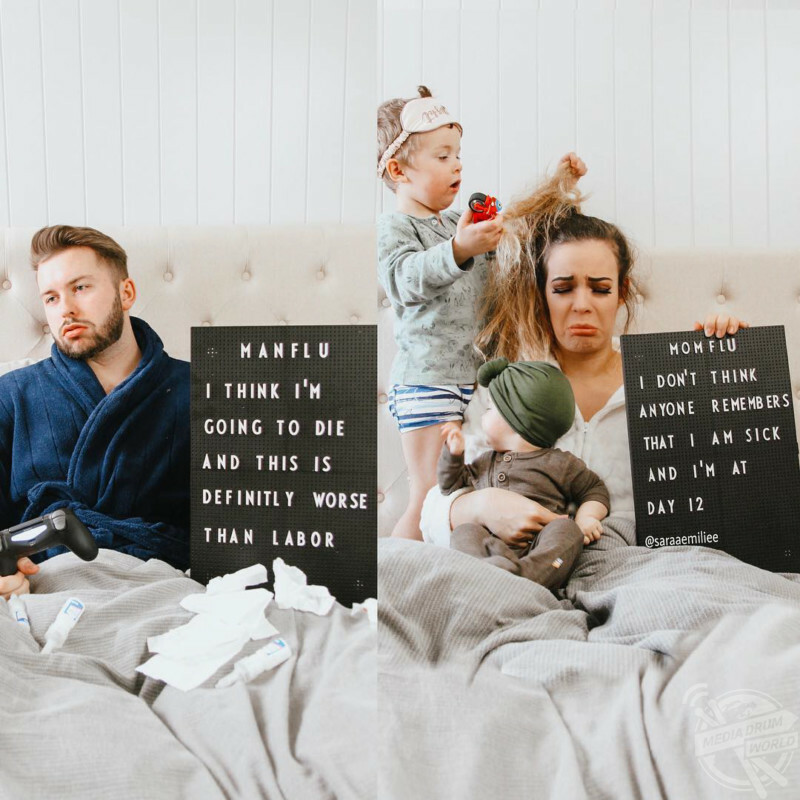 Some pictures reveal the clear differences between the life of the mum and of the dad; including a board that describes the definition of ‘man flu’ compared to ‘mum flu’. Sara, who is a mum to Liam (3) and Emma (nine-months-old), felt so alone during her pregnancy and being a mum to Liam, so when she fell pregnant with Emma, she decided to set up her Instagram page to empower other mums, so they don’t feel as alone as she did. 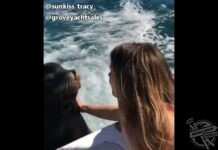 She now has nearly 200K followers and posts humorous images of her family daily. “When I became a mum to Liam, I was the first one out of all my friends. I had no other mums to talk to, and I felt like I was so alone with the struggles as a new mum,” Sara said. “So, when I got pregnant with Emma, I wanted to make a difference. There’s so much out there that no one talks about regarding motherhood, because people are embarrassed or don’t know what’s normal. “I didn’t want other people to feel so alone like I did when I first became a mum, so I started my Instagram lifestyle account to show fellow mothers that it’s normal to cry, normal to never be in the bathroom alone. “It’s okay to talk about stretchmarks, weight gain and all the hard things about motherhood. 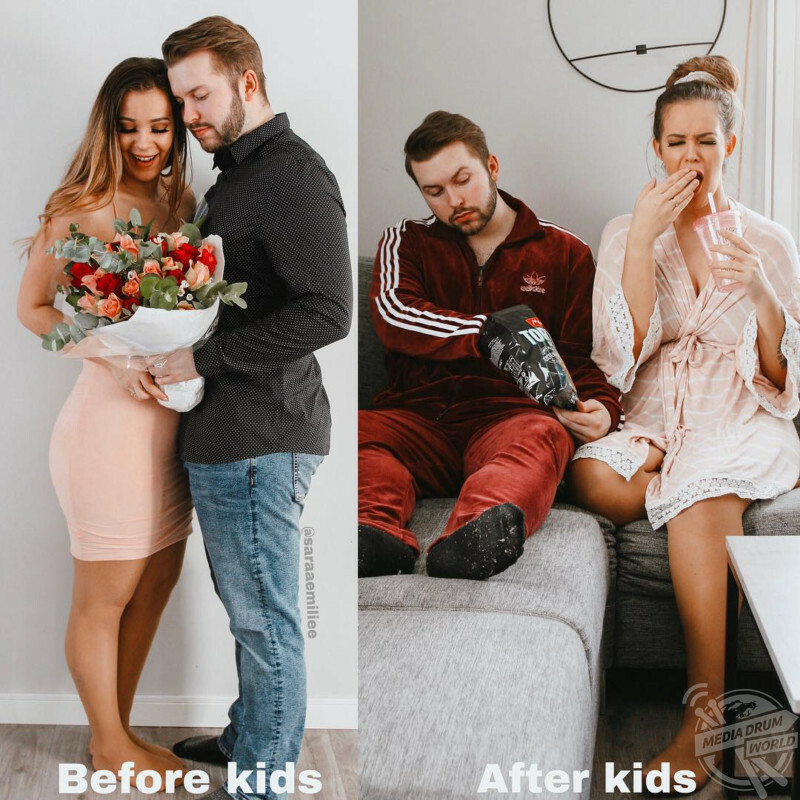 I also wanted to help people to change their mindset, about the postpartum body and the fact that this is only for a short time of your life, and you will miss it. “But so far, that has never have been a problem, and I love to hear stories from other mums and to hear that they feel what I feel, and that we can help each other out. “What you can see in my pictures is all sides of ‘mum life’; the hard and the amazing things. I love to do it with humour, but also some deep important ones. “My biggest focus is postpartum body; the struggles about how your body changes, how social media often can give you the wrong impression about how life should be. 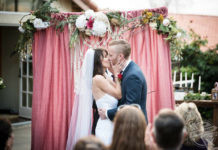 She has since received an overwhelmingly positive response from her followers, and it has helped her connect with many women in her situation. Sara’s aim is to show that it is OK to not be perfect constantly. “I want to change their mindset when they look in the mirror and see the changes in their body in a positive way,” she said. “I also think it’s taboo to talk about how you don’t love everything in general, it’s okay to say you are exhausted – it does not mean you don’t like being a mum. “It is okay if your house isn’t one-hundred percent clean. We need to love our exceptions and some days, just to take care of the baby is more than enough. “The toughest challenge is definitely the little sleep you get, and to understand that you can’t do it all. Mums are really good at putting themselves down and comparing themselves to others. “They think they need to have a picture-perfect life. I want to show that if my kids get hot dogs two days in a row, the house is a mess and I didn’t shower – that’s okay. 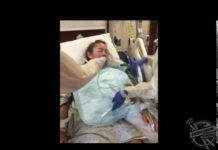 “I have gotten some few negative comments, mostly about breastfeeding. Some countries have rules for not breastfeeding public, and that’s so sad. That must be really hard. “So, some comments about that I should hide when I breastfeed, but other than that I get really positive comments about how I made their day – and that’s why I do this. “Just remember that your kids won’t remember that you are behind on your laundry or didn’t clean. They will remember the love, the time you spend with them and other things can wait. “Follow your own mum heart and don’t listen to everyone else. Every baby is different, and stop comparing, especially on social media.